It’s a worrying fact but at least 10% of the UK population suffer from migraine attacks. That’s some 6 million people and the percentage appears to be growing. It seems that women are twice as like to suffer than men. The majority of people start having attacks between the ages of 13 and 40. Over the past 5 years we’ve found more and more people coming to Touch2Heal for Migraine treatment. Whether it’s because the situation is getting worse or simply because people now recognise that osteopathy and acupuncture can be an effective treatment is unclear. We like to think the latter but it’s probably both. Migraine is a major cause of lost work days in the UK. It is a complex condition which normally takes the form of a severe and debilitating headache although other forms can cause dizziness and even fainting. The situation is often exacerbated due to sufferers having a sensitivity to light, noise and smell. The patient will often experience bouts of nausea and vomiting and feel the need to lie down in a darkened room. The exact cause if migraine is not understood but there appears to be a number of common triggers. Diet intake seems to be strongly linked with alcohol, caffeine, chocolate, cheese and citrus foods, strong initiators. It may well be coincidence but foods starting with ‘C’ seem best avoided. Emotional triggers are common too, particularly stress, fear and anxiety. Postural dysfunction, dehydration and fatigue can also play there part as can hormonal imbalances. Many women suffer varying degrees of migraine through their menstrual cycle. It’s possibly the hormonal imbalances that cause women to suffer more than men. It can be difficult to separate migraine from other forms of headache. You may have already been diagnosed by your GP or you may feel your medication isn’t working. You may also be referred directly from your GP or simply choose to come to us independently. 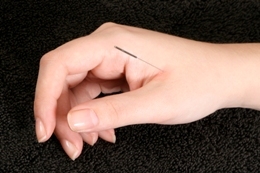 Your Touch2Heal practitioner will go through the history of your symptoms looking for patterns. We find it useful if you keep a headache diary, recording frequency of attacks, timing and duration, feelings before the attack and what you ate or drank leading up to the attack. This all helps with our diagnosis. Our practitioners can release muscle tensions in the back, neck, pelvis and sacrum that cause referral pain to the head. 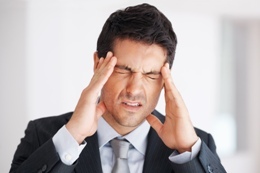 If you’re suffering from migraine attacks please visit our clinic in Ashford. We think we can help you.